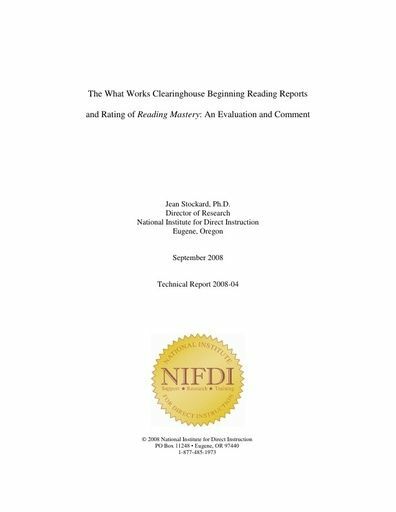 This folder contains documents related to 69 Quality Reviews of What Works Clearinghouse (WWC) publications, conducted between 2007 and 2014. 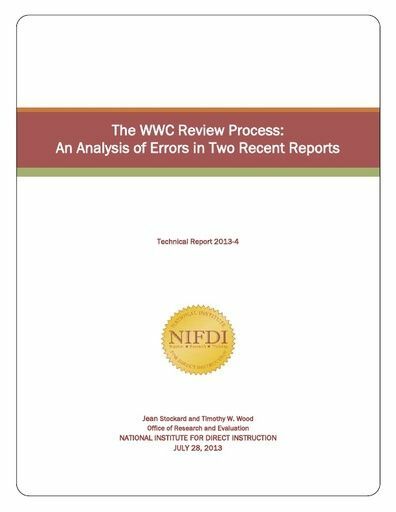 The WWC performs Quality Reviews when individuals believe a WWC publication may contain errors or the WWC did not follow their policies and procedures. 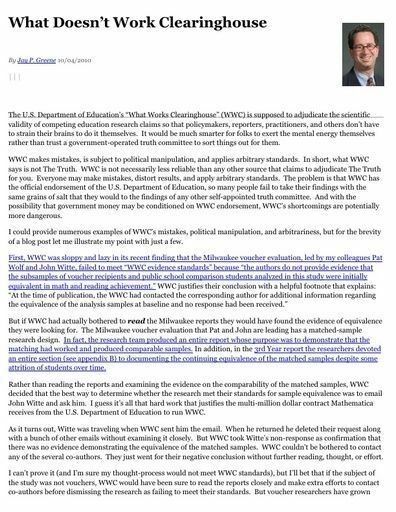 This information was acquired through multiple Freedom of Information Act (FOIA) requests by the NIFDI Office of Research and Evaluation. 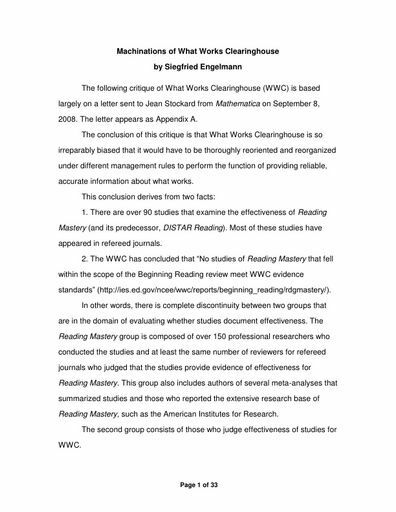 The documentation reveals a wide range of concerns, particularly the misinterpretation of study findings. 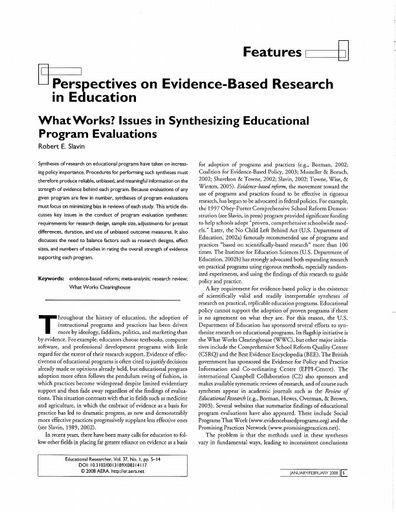 Most evaluators have embraced the goal of evidence-based practice (EBP). Yet, many have criticized EBP review systems that prioritize randomized control trials and use various criteria to limit the studies examined. 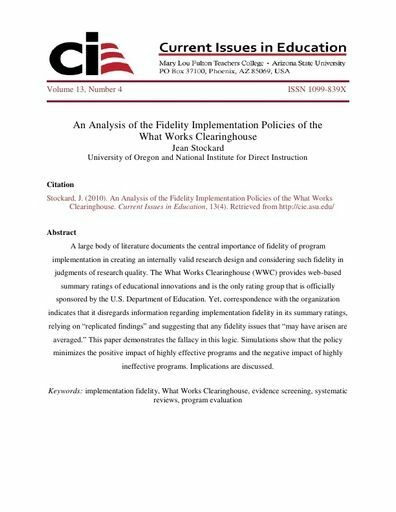 They suggest this could produce policy recommendations based on small, unrepresentative segments of the literature and recommend a more traditional, inclusive approach. 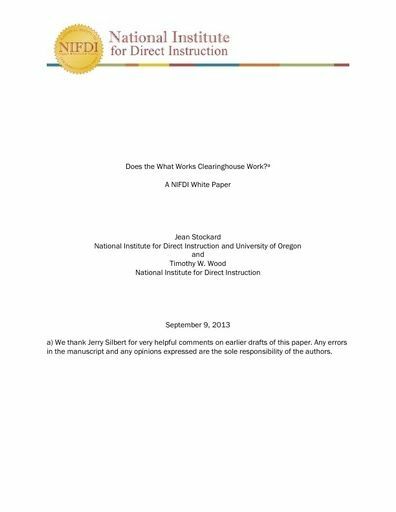 This article reports two empirical studies assessing this criticism, focusing on the What Works Clearinghouse (WWC). 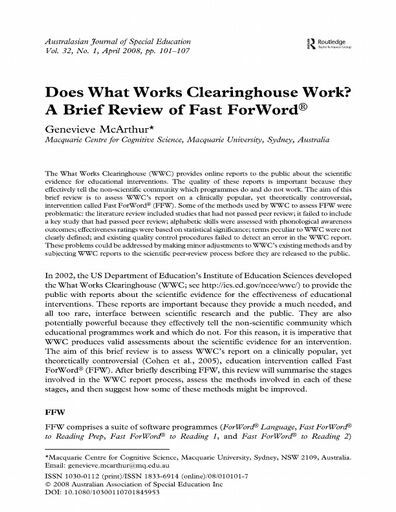 An examination of outcomes of 252 WWC reports on literacy interventions found that 6% or fewer of the available studies were selected for review. 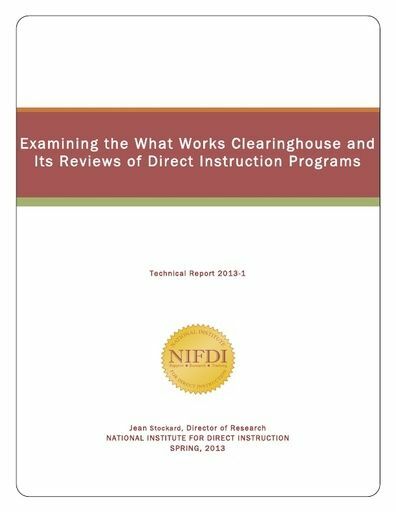 Half of all intervention reports were based on only one study of a program. 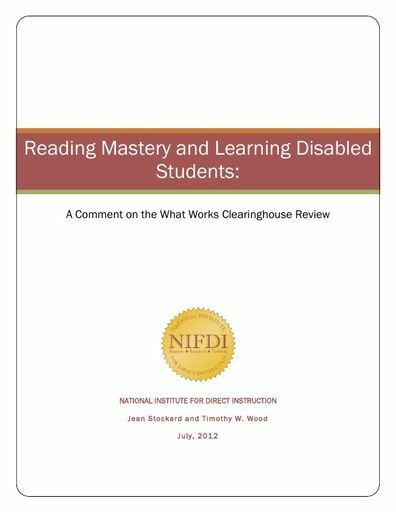 Data from 131 studies of a reading curriculum were used to compare conclusions using WWC procedures and more inclusive procedures. 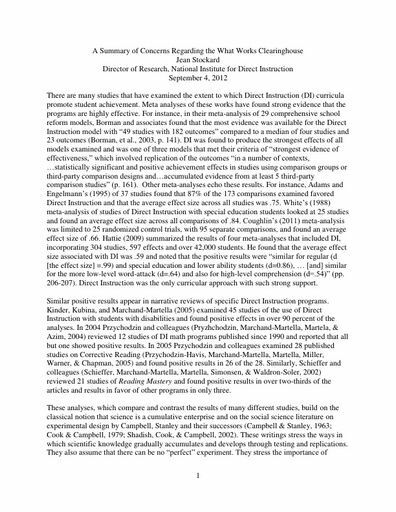 Effect estimates from the inclusive approach were more precise and closer to those of other reviews. Implications are discussed.